There are different types of locally-based small businesses for persons looking for the right kind of project or venture. The choice depends on a number of factors such as location, territory or province or residence, whether the location is virtual or physical, legal status, ownership criteria, and more. The main types of small businesses include high-growth companies, suppliers, main street, and non-employee businesses. High-growth companies are usually innovation-driven and fast-growing, and there are hundreds and thousands of such businesses out there. Suppliers supply a variety of raw materials and goods to other businesses while main street companies are locally based and operated and serve other local businesses and individual customers There are also non-employee companies which are usually sole proprietorships. This is by far the most common variety and covers a range of industries and sectors, from roofers, painters, and technicians, to IT specialists and consultants. Many of them achieve high profit margins and are self-employed. Franchises are also popular and come in different varieties, including manufacturing, product, and business format franchises. The latter is the most common variety and usually extends to new markets by offering its trademark and name to independent businesses. Business owners are required to pay royalties and fees in exchange. Examples include Pizza Hut, Burger King, McDonalds, and others. There are plenty of options to consider when it comes to business financing, one being small business loans offered under government programs. Financing is available up to $1,000,000 to help small businesses cover improvements and purchases such as premises and land purchases. Funding is also offered for leasehold improvements but in different amounts. Note that applicants are asked to submit supporting documentation along with their application, including financial projections and statements as part of a comprehensive business plan, and others. There are other options to finance a startup business, for example, borrowing on a business credit card to purchase inventory, equipment, office equipment, supplies, and so on. The best thing about business credit cards is the fact that they go with a significantly larger credit limit and allow business owners to make bigger purchases. The limit depends on your score and payment history. 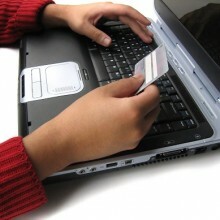 In general, you can borrow on a credit card to start a simple business. And there are plenty of benefits – business owners with healthy credit scores are also offered add-ons and perks such as cash back, competitive rewards programs, complimentary welcome bonuses and amenities, concierge services, and more. Business borrowing takes different forms, including secured and unsecured types of credit. There are secured loans for customers with a less than perfect score, including mortgages that require some type of business collateral. This can be in the form of real property, deposits, cash savings, accounts receivable, equipment and machinery, or anything else (it must be an asset of value). The main benefit for business startups is the competitive interest rate. Unsecured loans are another option for new businesses and are offered by major credit unions, small and big banks, online finance companies, and other providers. The interest rate tends to be higher while the repayment period is usually shorter that secured financing options. Credit unions offer competitive interest rates compared to banks and other financial establishments. If you are a union member, this is the first place to go.